Get Ready for the Silly Season! Add jane@style-makeover-hq.com to your email's address book to ensure you receive my emails. On the subject of Christmas, if you'd like to give a lasting gift and fun experience to a friend or family member have a look at my gift voucher options below. And if you'd like to receive one of these yourself, do let your loved ones know! I'm currently seeing a trend for mother and daughter colour analysis sessions, both in small groups of more than one mother and daughter, and just mother and daughter together. They're a lot of fun and I suspect knowing each others' colours helps prevent arguments about what works and what doesn't. And of course, it makes it easier to successfully buy clothes and accessory presents for each other! I recently attended an amazing AICI (Association of Image Consultants International) Education Day, with training delivered by 2 of my favourite image trainers. In one of the sessions we learned how to get more daring with mixing patterns -- it's got me experimenting with new combinations in my wardrobe, and also in my clients' wardrobes! 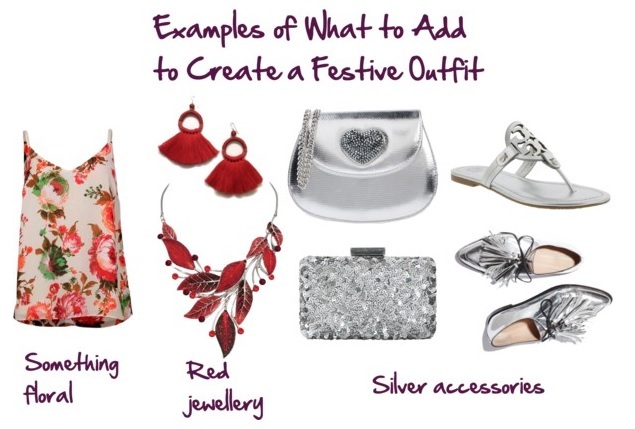 Watch out for outfits using these ideas on my Instagram and Facebook pages! In the 2nd session we learned what an 'iconic image' is and how to gain style inspiration from people we admire. Early in the New Year I'm going to be running another Style with Confidence course for a small group of women. It's all online, so it doesn't matter where you are in the world. I'll let you know more next month, but let me know if you're interested (either reply to this email or sign up to be notified through the link on this page). If you're looking for a meaningful, lasting gift for a relative or friend consider giving some form of style makeover gift voucher. You do have to be a little careful with this -- think about whether the person would love some help with their image, or whether they will be offended that you think they need help! Of course, if this is a gift you'd like for yourself do drop some heavy hints ;D (perhaps forward this newsletter?)! 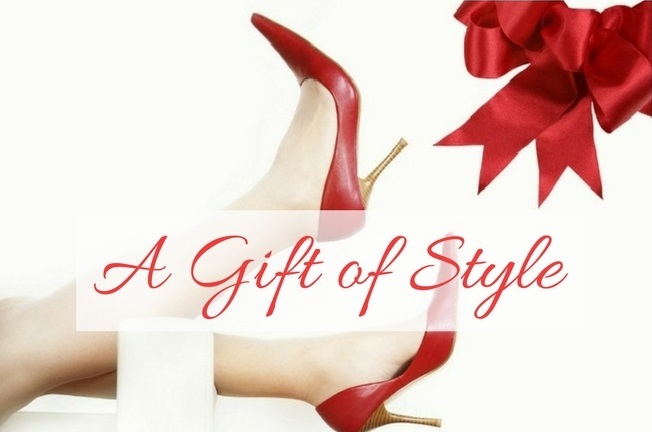 I offer gift certificates for any of my image services (either in person here in Sydney, or any of my online services), for my "Your Personal Style Formula" ebook, and for the online MyPrivateStylist personalized style guide (and for the MenOfStyle online personalized style guide). To order simply reply to this email or phone me on 0403 747 199 and let me know which gift you'd like to give, or what amount you'd like the voucher for. I'll send you a PayPal payment request and ask for details of the person the gift is for (to create the voucher). You're invited to a party or get together and you want to feel festive. What do you do? Do you rush to the shops to buy a new outfit? Do you leave it to the last minute and try to pull together something from your wardrobe? Do you have a panic attack and call the hostess at the last minute to say you're sorry but you can't make it? Any of these scenarios can escalate your stress levels at a time when you may be feeling stressed already. You might get annoyed with yourself, thinking everyone else must really have it together and only you have problems with what to wear. Ban those thoughts! Take a deep breath! You may be more prepared than you realise. By calmly looking at your options you can get excited about the party instead of dreading it! Start by looking in your wardrobe for any clothes or accessories from the current trends (locate the trend article for your region here). Keep it simple, you only need 1 great focal point, that can be a great piece of jewellery, a wonderful neckline, or fabulous shoes. Red -- It's also associated with this time of year. Do you already have a red top, dress, earrings, necklace, or shoes you can use? Your best red may not be bright true red, it may be orange, or a blush pink, or a berry tone. Or buy some cheap red tassel earrings. Florals. I haven't found a party dress for me this season. However, I have found a lovely floral camisole (pictured above and in outfits in the article below) that I'll that I'll combine back with items I already own -- so much better than buying a dress I don't like enough! If you have to buy anything, unless you find clothes you really love, opt for a new necklace or earrings instead. Please share this newsletter with friends you think will enjoy it! You can find Style Snippets back issues here. Copyright © 2017 Style Makeover HQ. All rights reserved.